Masking is a cardmaking technique that allows you to protect a desired area from change while you are stamping over it. "Clowns wear a face that's painted intentionally on them so they appear to be happy or sad. What kind of mask are you wearing today?" This technique allows you to add a three dimensional or depth effect to your images as it can appear that the images overlap. All you need is an image that you want to show repeatedly, such as would happen with a bouquet of flowers. Follow my easy step-by-step tutorial for how to create masked images for your handmade cards. First, stamp your image onto a Post-It Note. Post-It notes are thinner than cardstock which helps with this technique. 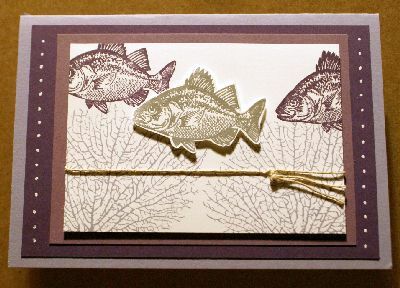 Make sure some sticky glue is on the back of your stamped image so you can anchor it easily on your cardstock. Next, cut out your stamped image from the Post It note carefully with your paper snips. Try to get as close to the stamped outline as you can, not leaving any white space around it as you would for an embellishment. Next, stamp your image onto the cardstock. Make sure this is where you want an entire image to show. The other images you stamp will be partial images. Carefully place the Post-It note cutout over your full stamped image on the cardstock. It must hide all of the stamped image and be aligned with the original image to work well. Now stamp over the original image that you covered up, and continue to do this until you have the number of images showing behind the original image that you desire. This is where the use of the Stamp-A-Ma-Jig or Stamparatus could come in handy, but for this project I just used my own judgement since it was a fairly free-form effect I wanted. A handy tip: Once you have completed your cardmaking project, keep your cut out! Attach it to the stamp itself or to the inside of your stamp storage case and the next time you want to use this stamp and this technique, some of the preparation will already be done. 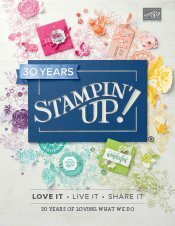 Here's an example using the Stampin' Up! By the Tide stamp set (retired). The background fish have been stamped then blocked off with a Post-It note fish cutout to allow the sea fans to be stamped on top of them, thus making it look as though the fish are swimming in front of the sea fans. If you liked this technique, you might like to try the stamping with bleach technique, or you might like to find out how to CASE projects and fire up your mojo!